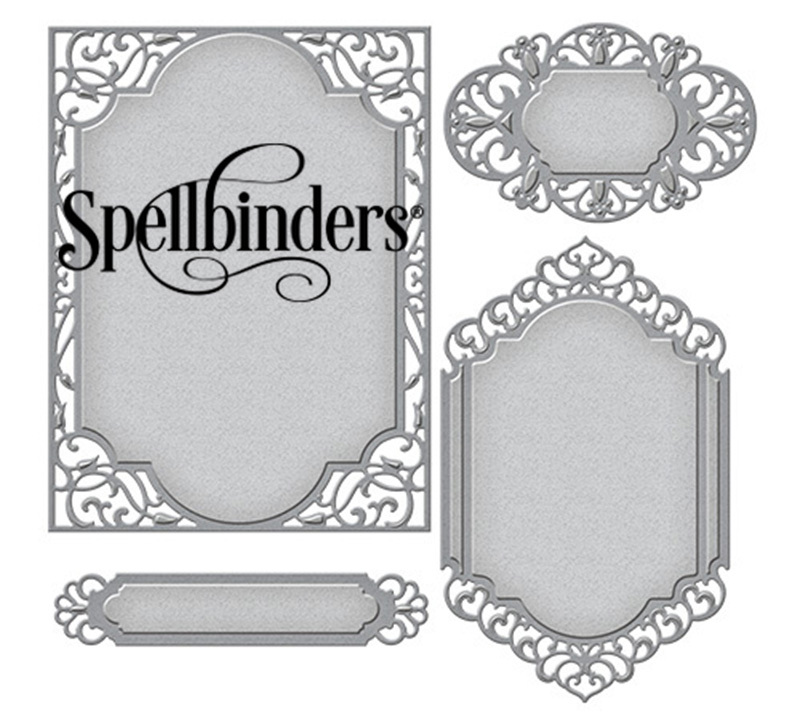 I'm Jennifer Snyder, one of the Spellbloggers for Spellbinders. Welcome to my blog and to our Spellblogger Hop. When I was a child, the best summer vacations were the ones where we went to the ocean for a chance to hunt for shells, play in the warm sand, then cool off in the water. I don't live near an ocean so those vacations were cherished. 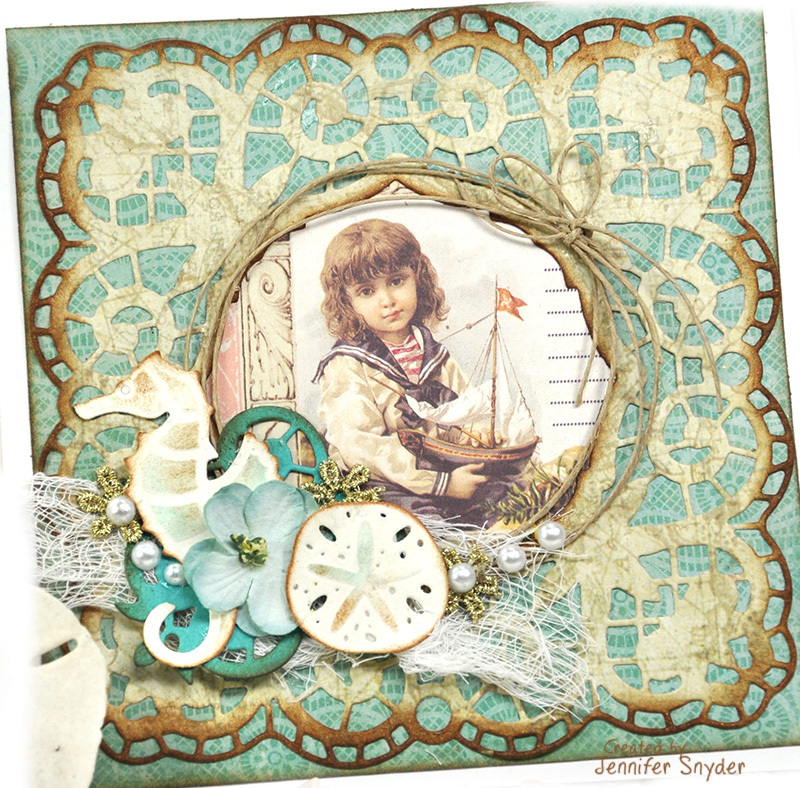 I think it's part of why I love all things nautical and beachy. It brings me back to those simple, peaceful times. Ahhhh, those summer days seemed endless. 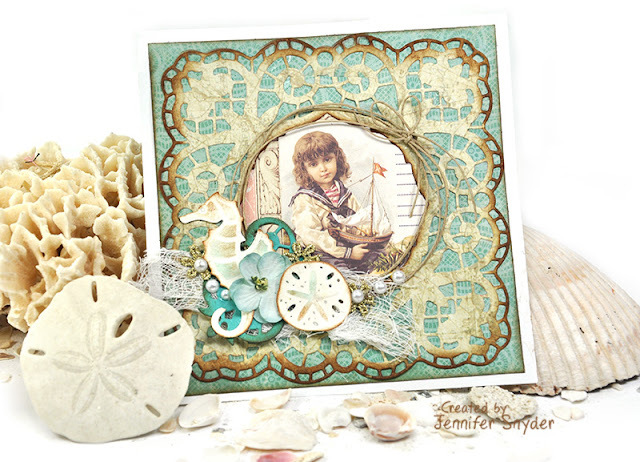 Spellbinders wants your fun times to be endless as well. They are giving away three Spellbinders Platinum Die Cutting and Embossing Machines to celebrate our Spellbloggers Hop Giveaway Event. Scroll down through my blog and I'll tell you how you can qualify for a chance to win. Let me tell you a bit about my projects. I created two cards that stem from those childhood summer days. 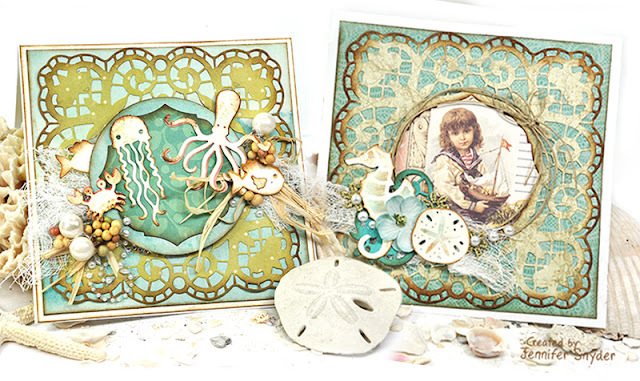 Both cards have the nautical or beachy feel to them. 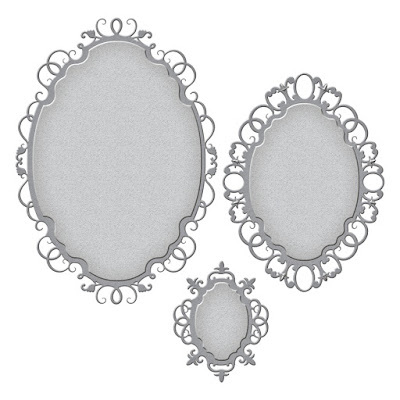 Shapeabilities Isabella Frame Venice Lace by Becca Feeken. I also used Spellbinders Die-D-Lites Seahorse and Sand Dollar Etched Die . 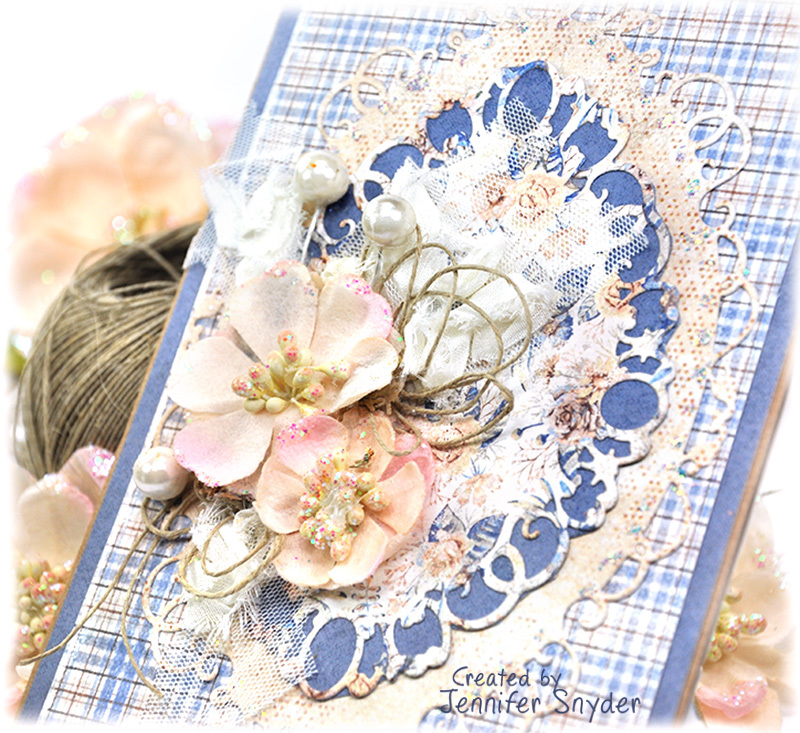 You might ask why I chose to use the delicate beautiful Venise Lace Die on a nautical beachy card. So very glad you asked. Let me show you why I think this is a perfect nautical die. The first thing I saw in this lovely die was the similarity to a photo I had taken several years ago of a shell with fishing net in the background. The shapes of the die reminded me of that photo. 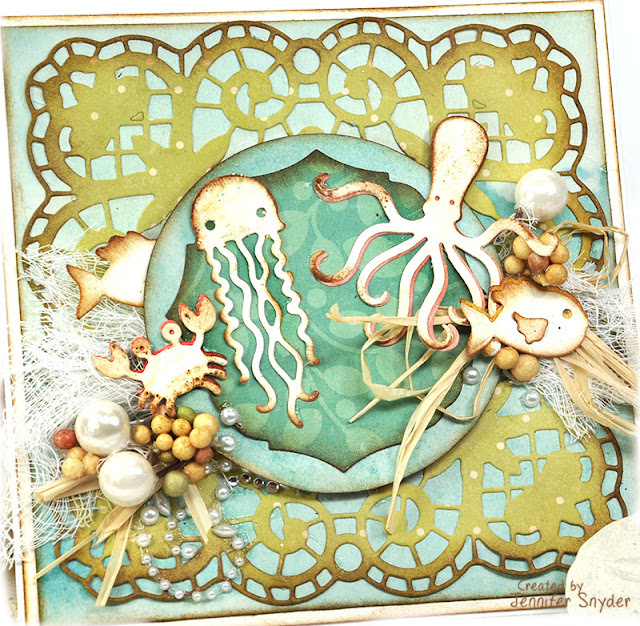 Thus I was meant to use it as a nautical die...Actually what it means is there are multiple ways to use the Spellbinders dies. It's all in the imagination. 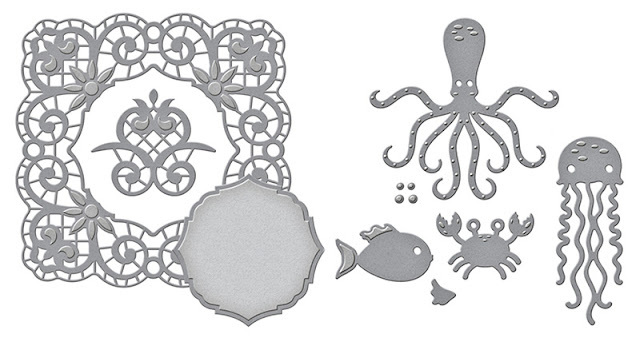 See all the New Arrivals at Spellbinders. How do you earn chance to win? 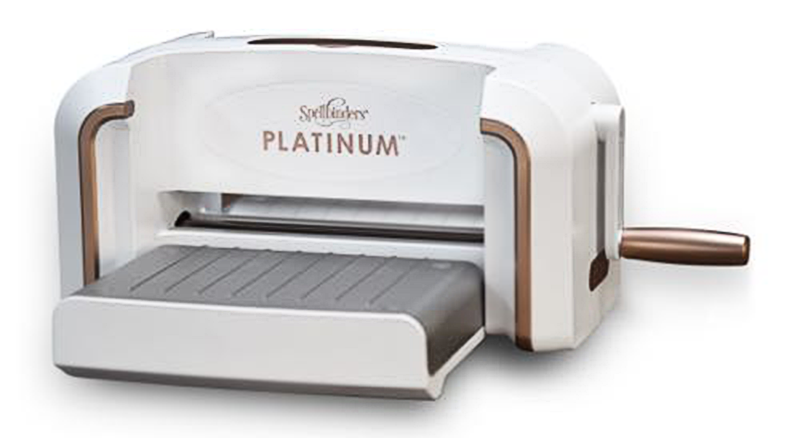 Complete the Spellbinders form below for a chance at one of the prizes, Spellbinders Platinum Die Cutting and Embossing Machine . You can enter multiple times by completing a form on each blog to earn additional chances to win. Spellbinders has so many new releases to check out! You can shop for Spellbinders here . Are you interested in finding out how you can become a Spellblogger? Check out the details here. This is the July and August Mood Board. 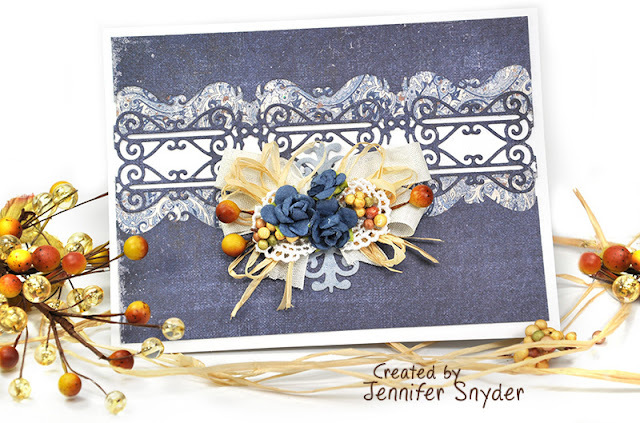 I created this card using the Sofiero collection from Maja Design. 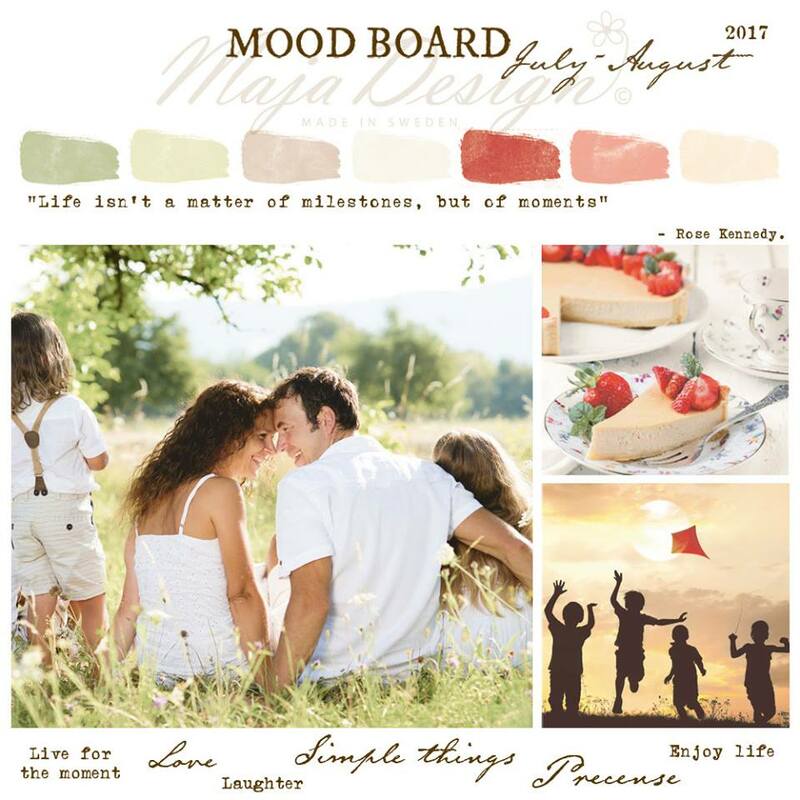 The Mood Board is a monthly challenge that can be approached in so many ways. 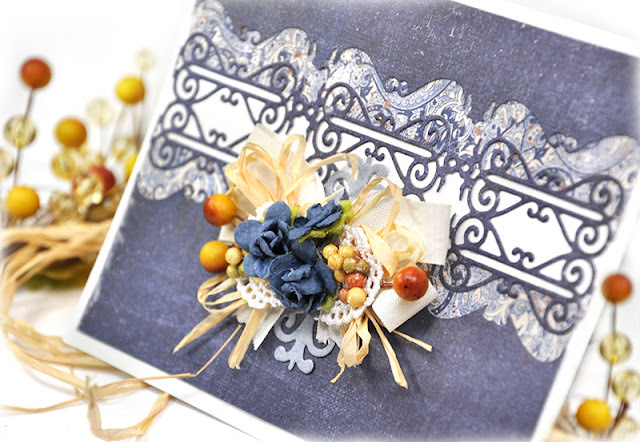 You can use the colors as inspiration; the words, the images, or the sentiment from the Mood Board collage. 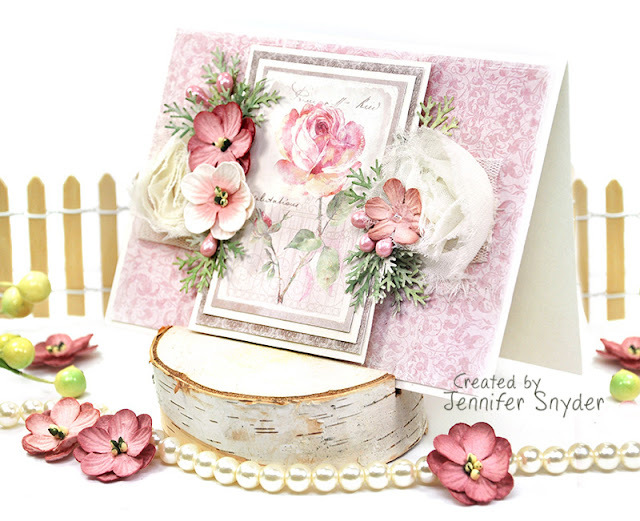 I picked the colors and the beautiful summer feel for my card. If you would like to play along with the Mood Board, you can find the rules right here. 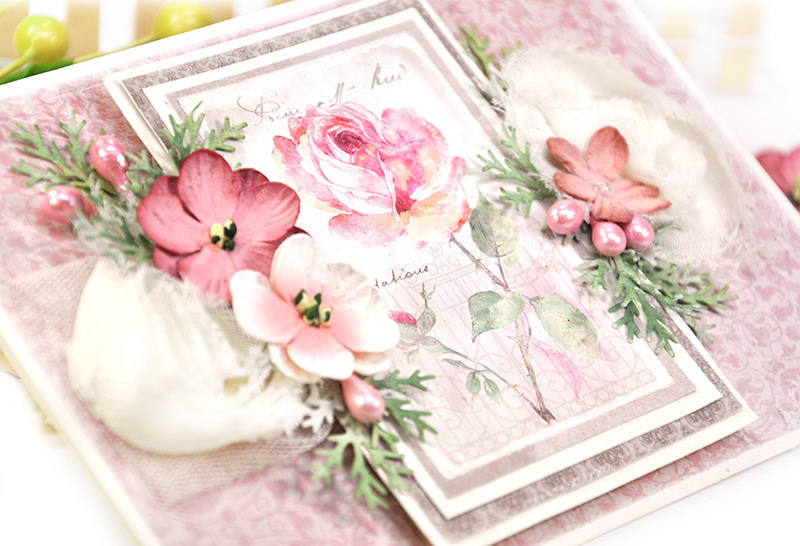 The Sofiero collection has a gorgeous vintage ephemera sheet which I used as the focal feature of the card. 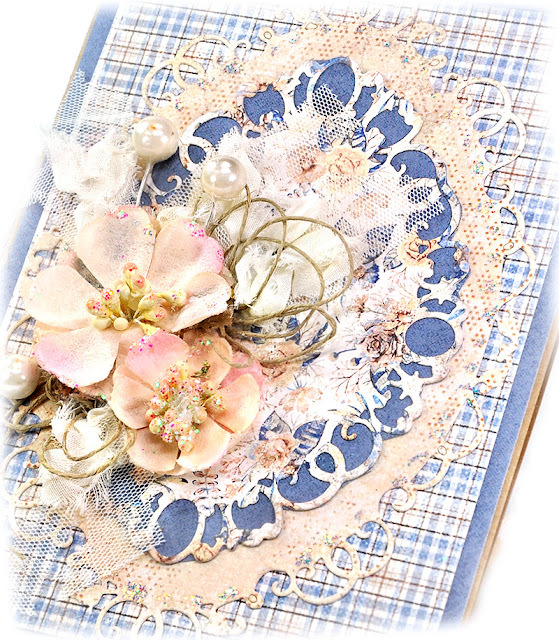 My embellishment choices were kept delicate and soft as well in keeping with the feminine look of the rose ephemera card. 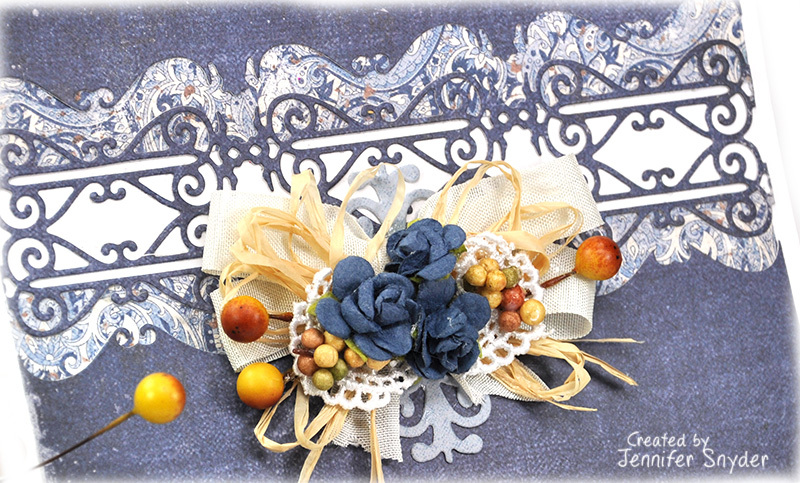 I added some lace trim, some Petaloo flowers and Martha Stewart's Medium Branch Punch . This punch is always great to add as fillers to fill out any floral cluster. 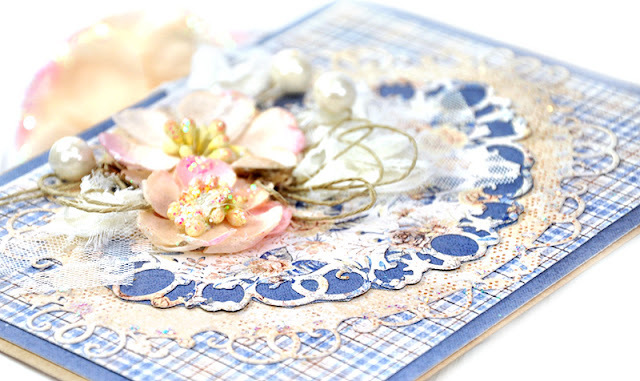 I do hope you have some time to play along and create a piece to enter in the Maja Design Mood Board challenge. Submit your creation by August 24th. There are no limits to what you can send in! 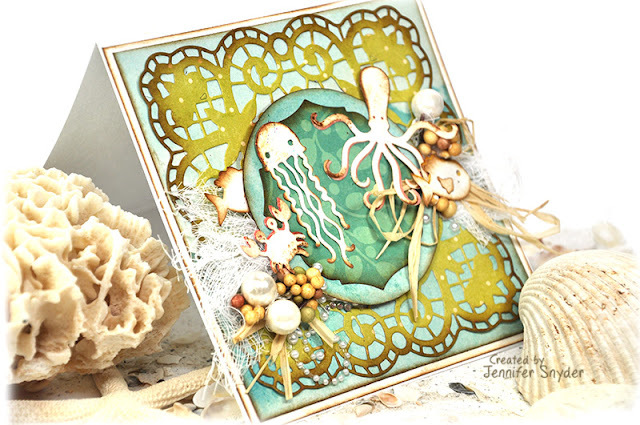 It's Spellblogger time and the perfect opportunity to showcase some spectacular products that go perfectly together; beautiful new papers by Maja Design and fun dramatic new dies from Spellbinders. I created my card with new scrumptious papers from Maja Design called, Denim & Friends and the coordinating set of solids called Maja Design - Monochrome Collection Shades of Denim & Friends . The dark blue denim has some amazing rich brown accents. 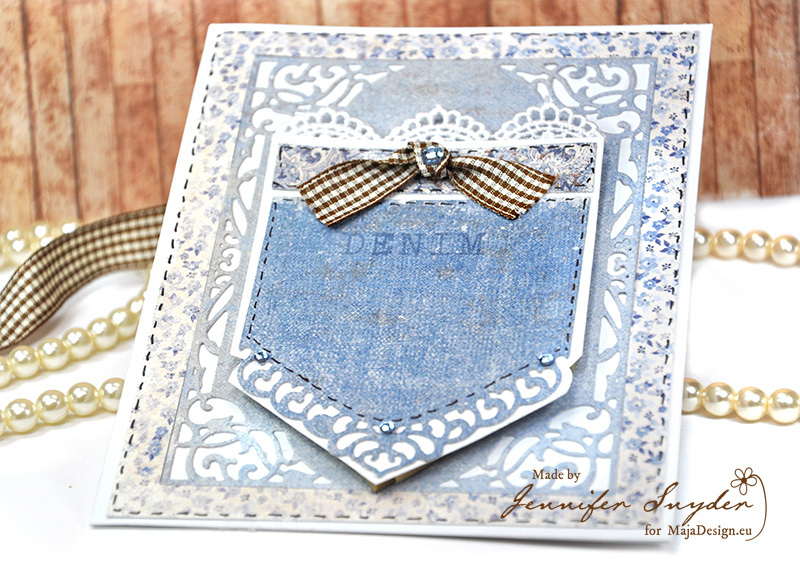 The gorgeous border work is from Spellbinders ...Spellbinders Shapabilities - Swirled Strip Etched Die . Very cool - I'm in love. 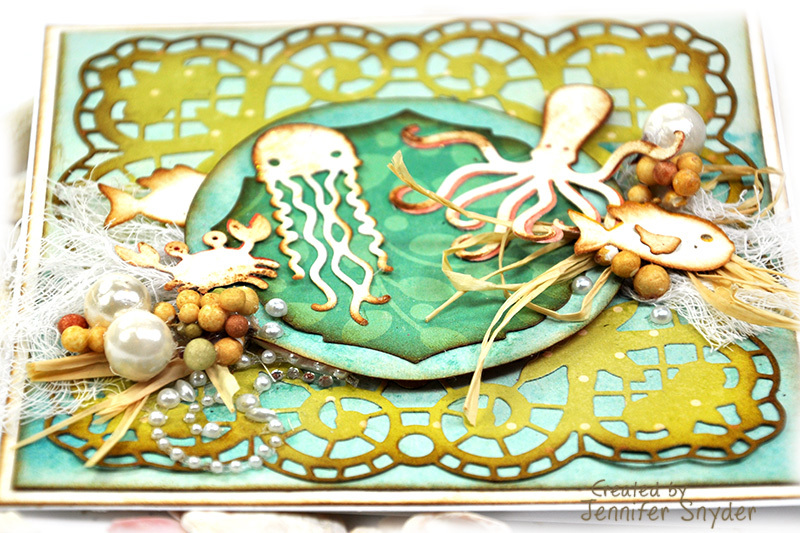 I also used the Spellbinders Shapabilities - Heirloom Oval die for the centerpiece medallion under the floral cluster. That's a darling die as well. "Dark Blue " from the Monochrome Shades of Denim" 12x12 collection and "Paisley" from "Denim & Friends". 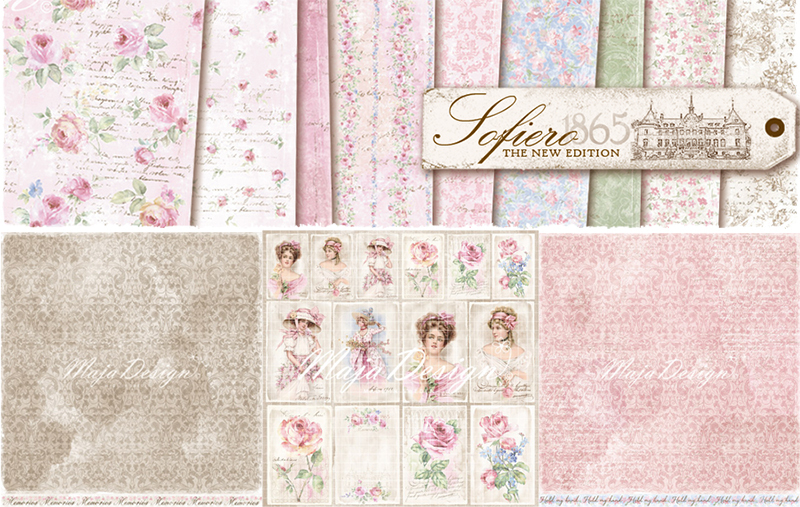 The new Maja Design paper collection is available from the stores in the Store Finder link found here. Here is a photo of the finished piece. Denim is in. 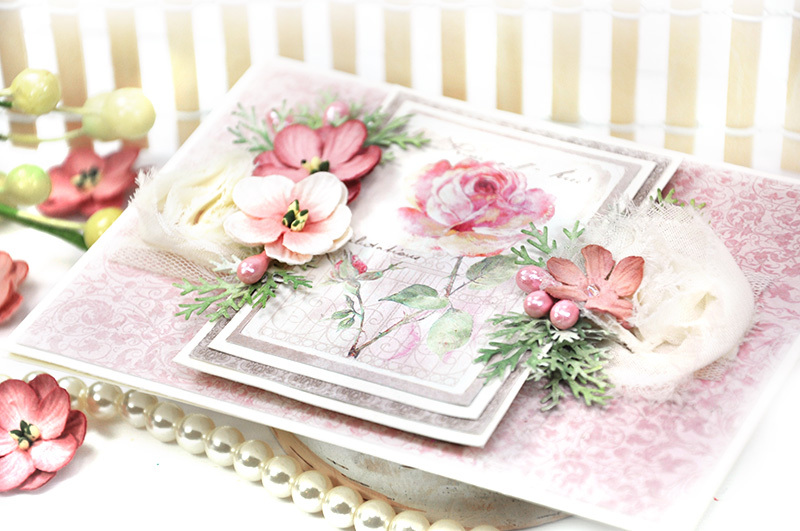 It's trendy, it's chic and now it's available in the form of beautiful papers by Maja Design. It also looks darn adorable with die cuts from Spellbinders. I created an adorable pocket card to fit a tag or gift card with my two featured products from Spellbinders and Maja Design. If you scroll down the page, I have DIY instructions to show you how I crafted the pocket. 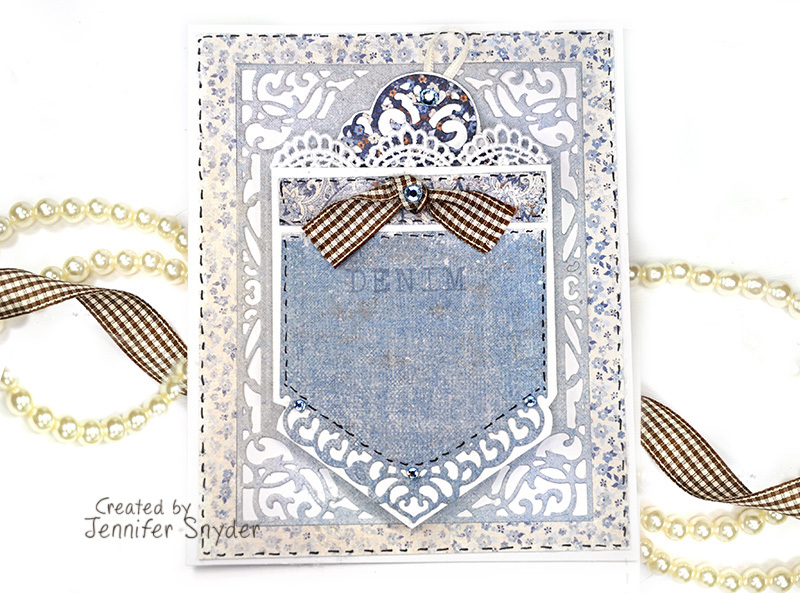 I created my card with new scrumptious papers from Maja Design called, Denim & Friends and the coordinating set of solids called Maja Design - Monochrome Collection Shades of Denim & Friends . 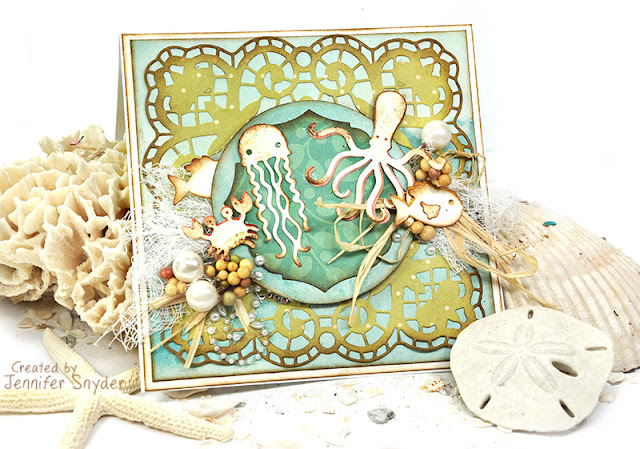 This collection has something for everyone; masculine, feminine, playful, fun. PLUS their new solid monochrome collection designed to accompany the Denim & Friends collection perfectly. The monochrome papers do not have patterns but they have added richness in the design making them unlike solid cardstock. 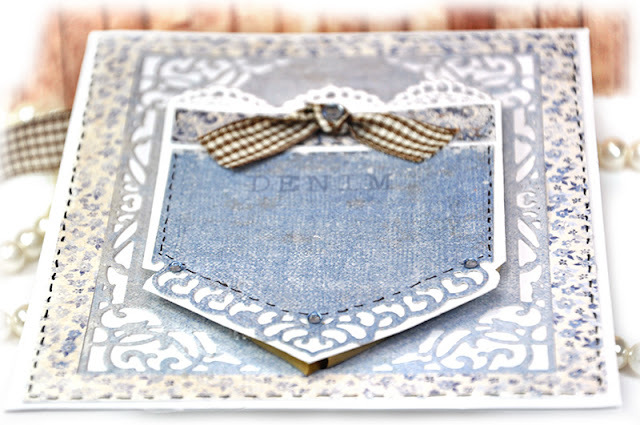 My DIY card is a sweet play on the denim theme - a pocket card with a frilly twist because jeans look great with lace. 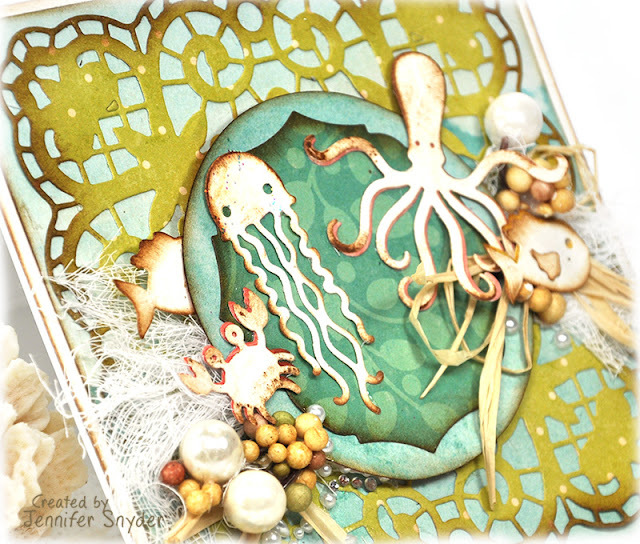 Perfect for a gift card or tag. 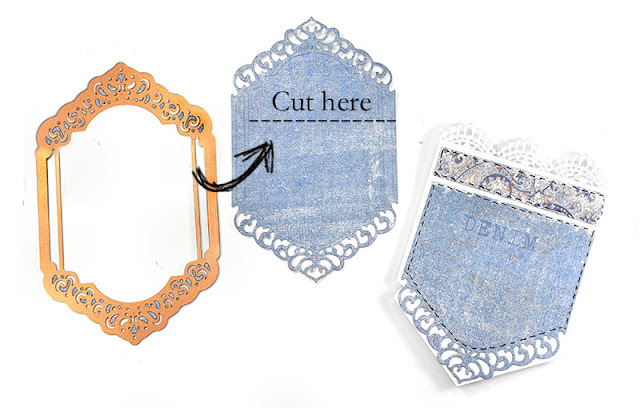 Plus some DIY tips to show you how I made my easy pocket card. 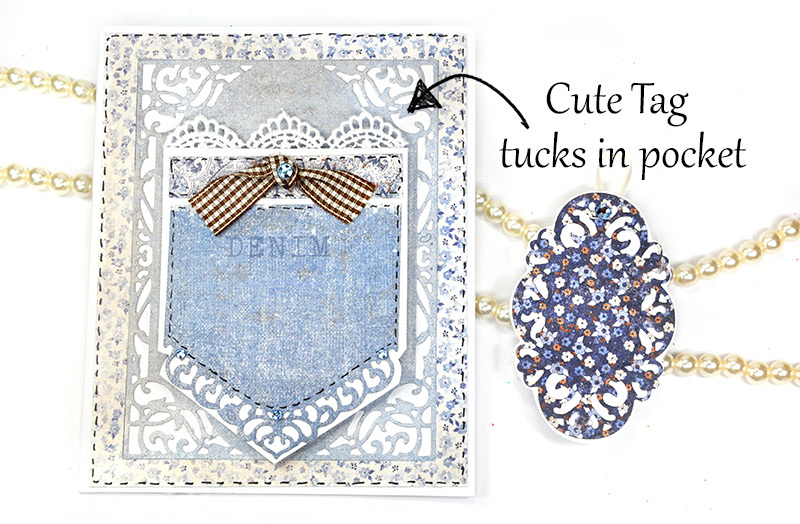 I opted for crafting a coordinating tag for the card because I am obsessed with the "medallion" die that comes with the set. Here is a close up of the card with the tag tucked into the pocket. Step 1. Using the Spellbinders Card Creator Dies -A2 Divine Eloquence , cut the border frame. 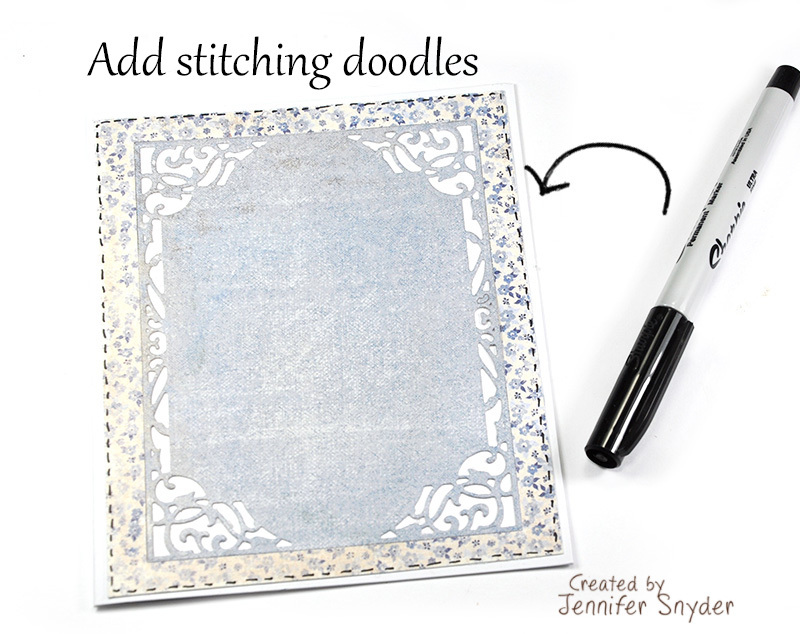 Next add doodled stitches using a black fine tip pen. Step 2. I used a die from Spellbinders (Spellbinders Card Creator Dies A2 Divine Eloquence) and cut about 1/3 of the way down the die to create the base of my pocket. Step 3. After cutting the die to size, I backed the die cut with a piece of a piece of white cardstock for extra support and trimmed the white cardstock, leaving a small white edge around the die shape. The cardstock also helped accentuate the beautiful details of the delicate die and make them pop a bit more on the pocket. I made sure the white cardstock was a bit longer at the top as well so I could add some embellishments as shown below in Step 4. Step 4. 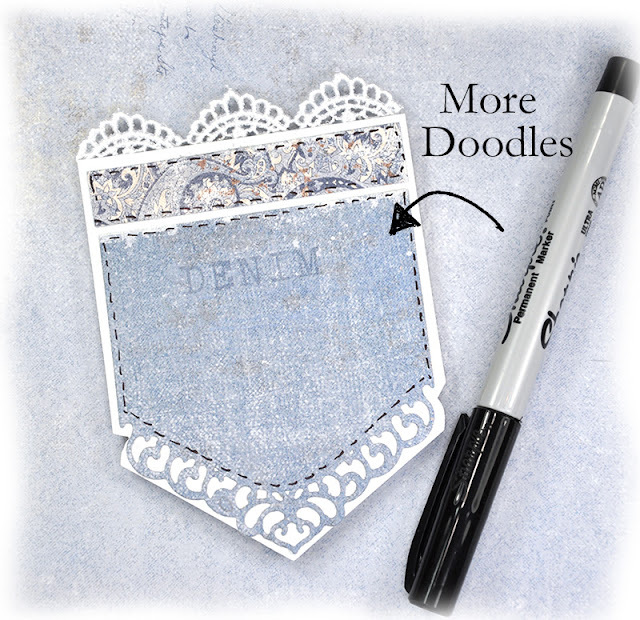 After backing with white cardstock in Step 3, I decorated the pocket by adding more doodled stitching, some lace trim and coordinating patterned paper from the new Denim & Friends 12x12 collection. Step 5. Making the Tag - I made a quick double sided tag using Spellbinders Card Creator Dies A2 Divine Eloquence . b. 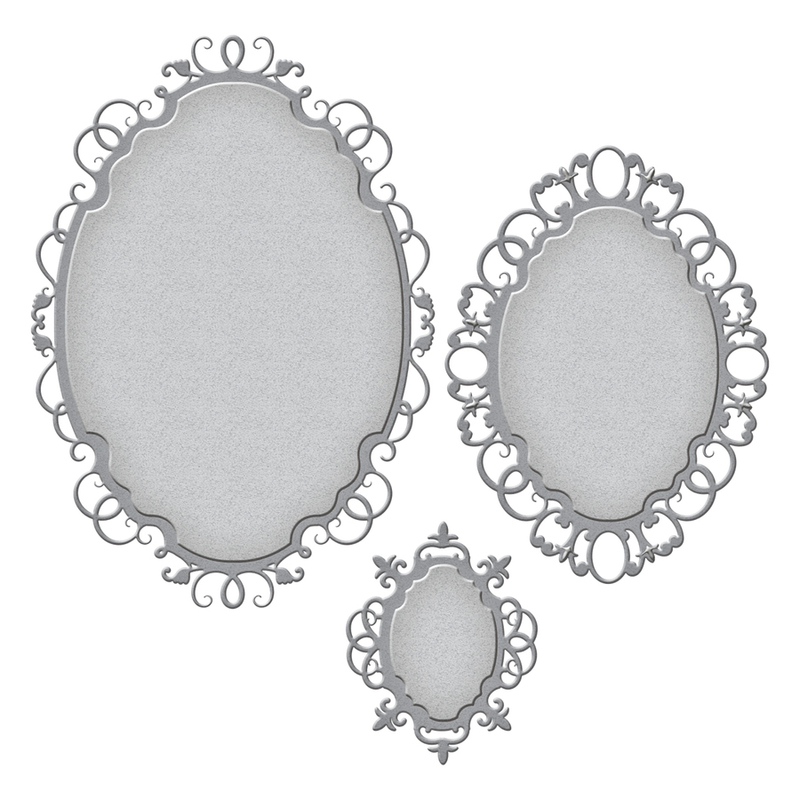 Back both the die cuts with white cardstock. e. Trim the cardstock to fit ( I left a thin white edge). 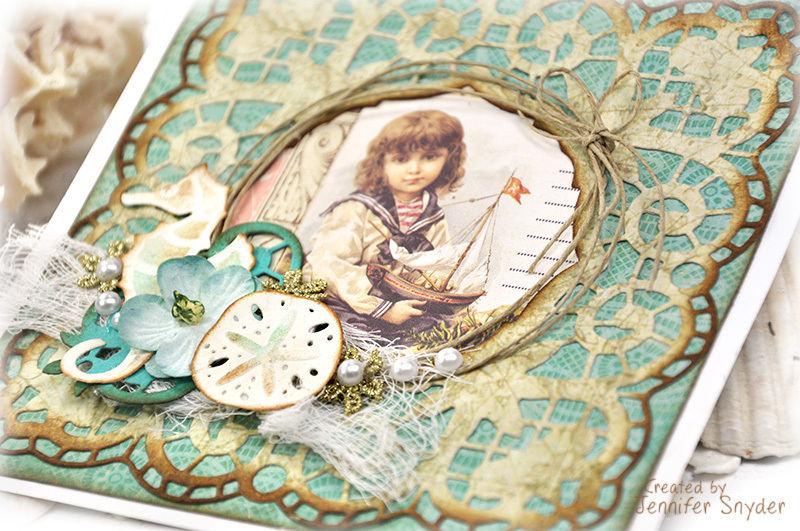 Note: I did add a piece of thin ribbon between the two dies before gluing the two died together. 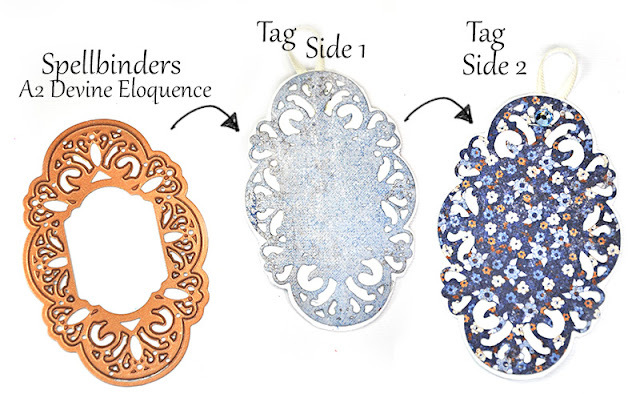 By adding the ribbon before gluing, it helps make the tag look clean and polished. Step 6. 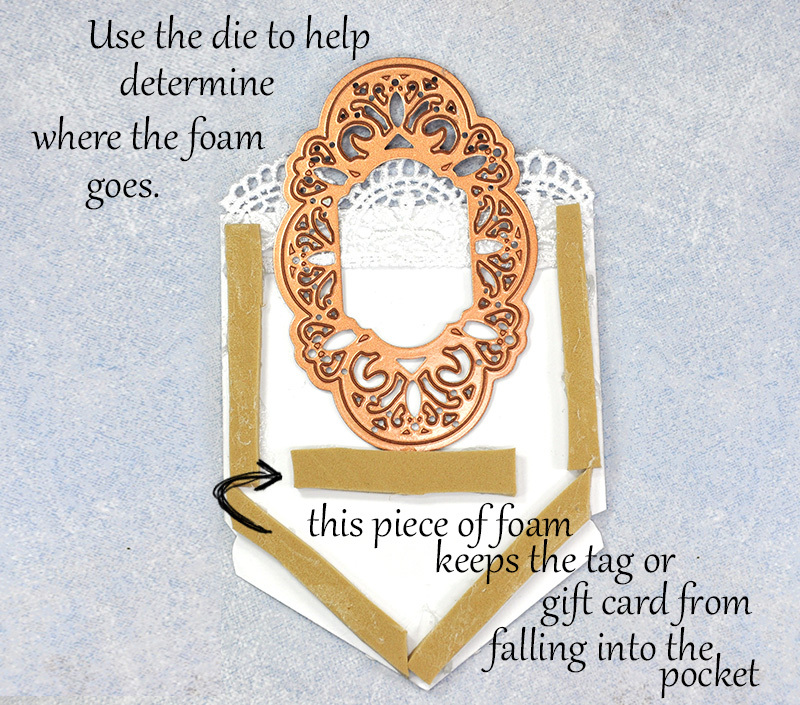 I wanted to pop the pocket off the page a bit with some foam tape so make the tag or a gift card tuck easily into the pocket. In order to make sure my tag fit into the pocket, I flipped the pocket over and used the tag/die as a template to determine where I needed to place the foam so that the tag doesn't fall deep into the pocket. The new Maja Design paper collection is shipping NOW! You can buy the papers from your favorite stores located in the Store Finder link here. I'm here to share a card made using some new paper collections by Maja Design and dies by Spellbinders. I'll just call them the "amazing duo" - a truly amazing pairing of new products by my 2 favorite companies that will most likely be your new "must haves". 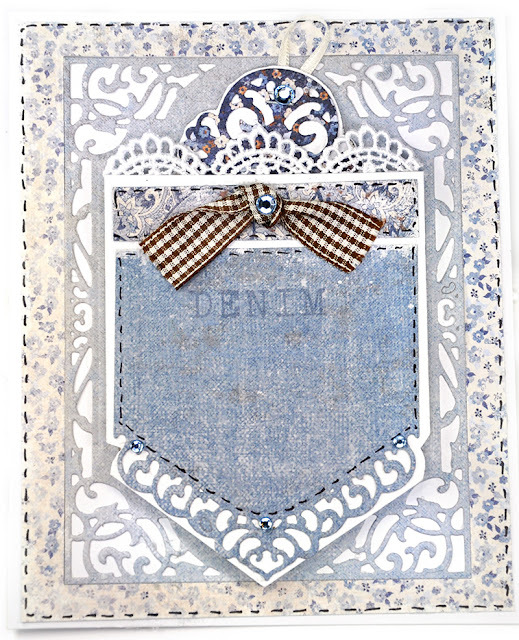 The new paper collection by Maja Design called, Denim & Friends and the coordinating set of solids called Maja Design - Monochrome Collection Shades of Denim & Friends . 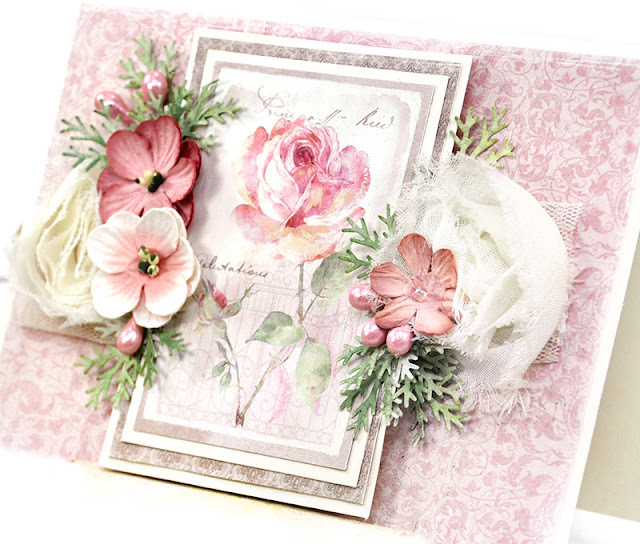 This collection has something for everyone; masculine, feminine, playful, fun. PLUS their new solid monochrome collection designed to accompany the Denim & Friends collection perfectly. I decided to play it fun and flirty with this card by adding a newly released delicate die from Spellbinders. 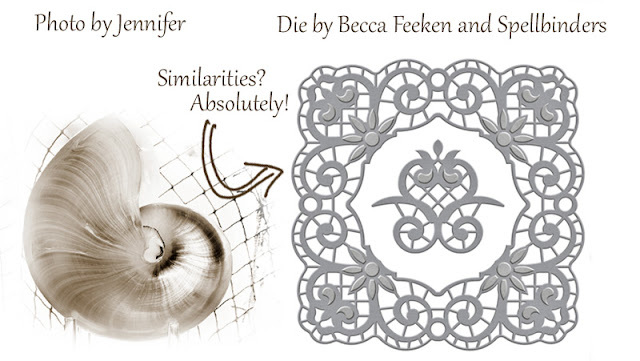 Aren't the delicate edges on the die spectacular? Plus some gorgeous flowers by Floracraft Petaloo. The flowers help make the blue tones in the collection pop. 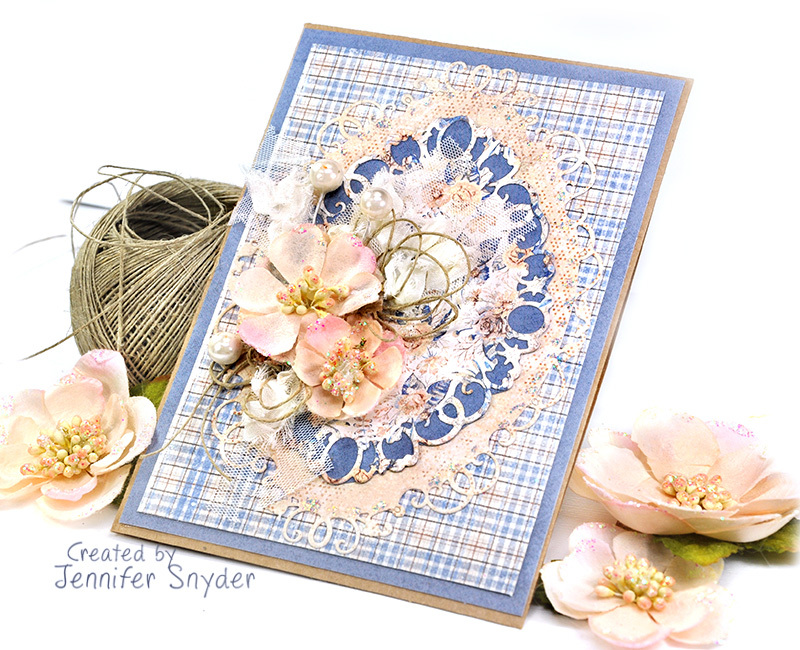 "Floral" both sides of the paper and "Summer Shirt"
I used Mono-Denim Blue from the Monochromatic collection - Shades of Denim. Just a gorgeous paper collection. Just a gorgeous die. Maja's new collection is shipping NOW! You can buy the papers from your favorite stores located in the Store Finder link here. 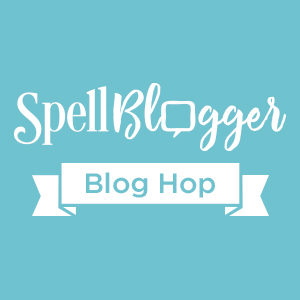 Are you interested in being a Spellblogger? Find all the details here.